Now also available as hard! Professional hoof pads made of transparent high quality and durable polyurethane. 3 mm thick and available in large and small. Transparent so one sees when filling packing material under the hoof. These hoof pads are suitable to use with 2-component polyurethane hoof pad products and hoof silicone. New Aluminum Training Cart and high quality wheels in stainless steel and aluminum. With the highest ambitions we are now proud to launch these new products after several years of extensive product development. New antibacterial hoof silicone especially developed for cushioning and hoof protection. Its easy to use, sets quickly and stay flexible. 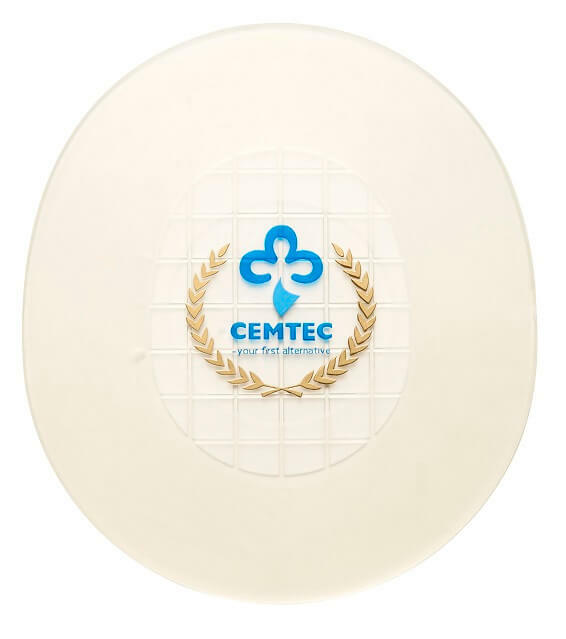 The dark colour makes it easy to see when working with transparent pads, like Cemtec Hoof Pad Pro. High quality and durable polyurethane snow pads. Beside the spectacular bright colors in pink and blue, these snow pads has some uniqe features. They fit up to 26 mm wide shoes and are 0,2 mm thicker in the heal. 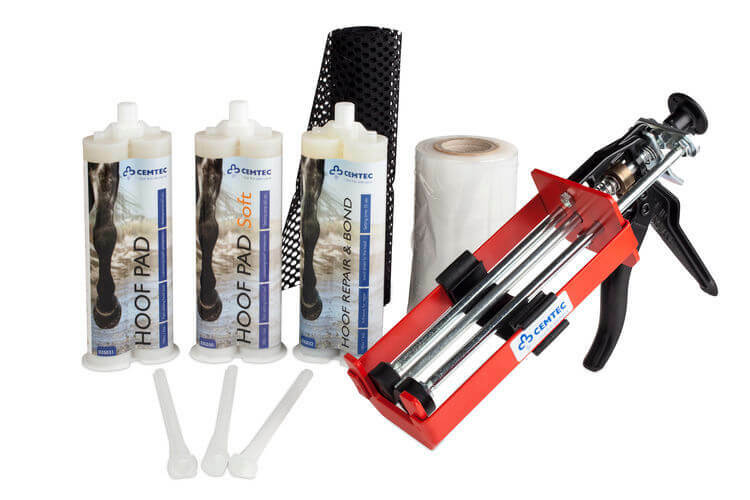 We are happy to inform that we have developed our own range of Hoof Pads and Repair products. This is equivalent or better products with affordable prices. As compliment to our SP riding shoe we have developed a new front shoe. With a new shape and lots of other requested features SF will add an interesting adddition to our range. SF will also break new grounds and attract new farriers who use other brands of front shoes.